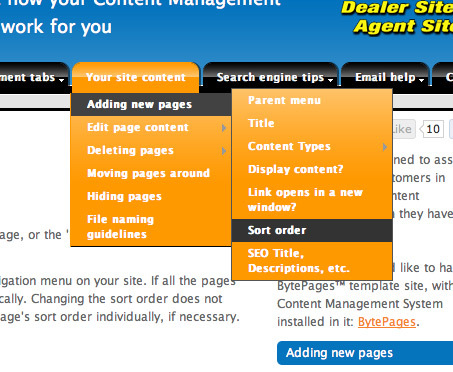 Use the Sort Order to sort the pages in a particular order in your navigation menu on your site. If all the pages are left to zero in the sort order, your pages will be sorted alphabetically. Changing the sort order does not automatically change related pages. 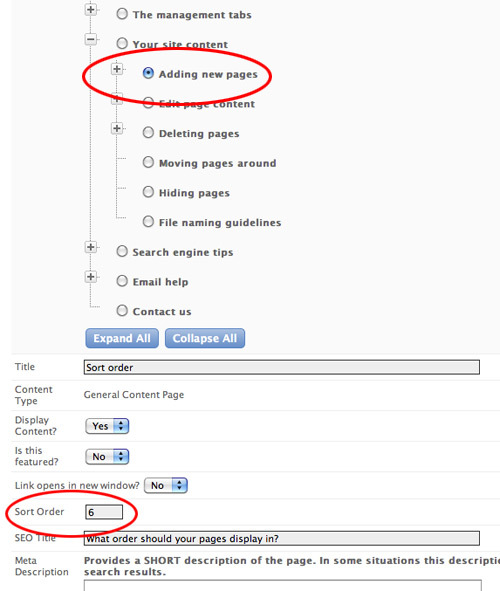 You must change each related page's sort order individually, if necessary.